THAT WORKS ON ALL DEVICES? We are passionate about programming, and we take pride in our work. We believe that code is an art form and our applications are powerful tools for our users. We write light-weight, scalable, Node applications that can serve your data to millions of customers at scale for your business. We create highly interactive and performant Angular applications, that will engage your customers with modern features that they expect. We implement Gulp + Jenkins and a full set of build tools for seemless testing, packaging, and deploying your applications. We build multi-platform mobile applications using the Ionic framework that will amaze your users. 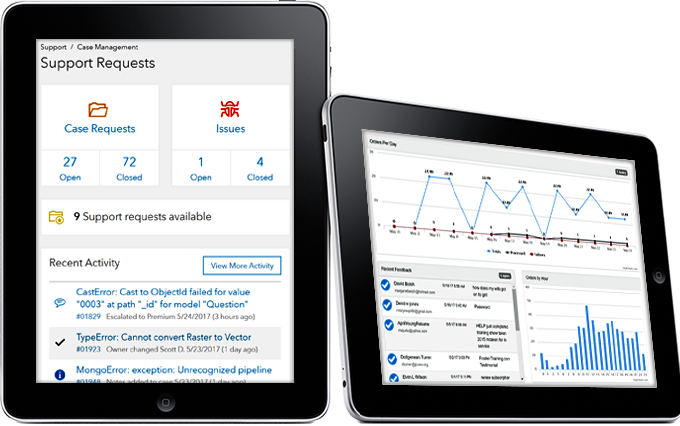 We develop dynamic and robust ColdFusion applications that are maintainable, and can withstand the test of time. We write scalable .Net applications that will serve your content and your data in a highly performant manner. We utilize a deep understanding of NoSql technologies like MongoDB, to build scalable schema-less solutions to real world problems. We use HTML5 semantics to write easy to maintain apps that are accessible to all users and future developers. In an increasingly mobile world, your app or website needs to run on all screen sizes. With our mobile-first approach, your site will be beautiful regardless of screen size. Using the latest technologies, we write APIs that are flexible to grow with the size of your business. Need a second opinion? We provide in-depth code reviews running a gamut languages. We make sure your code is secure and scalable so you can rest easy. 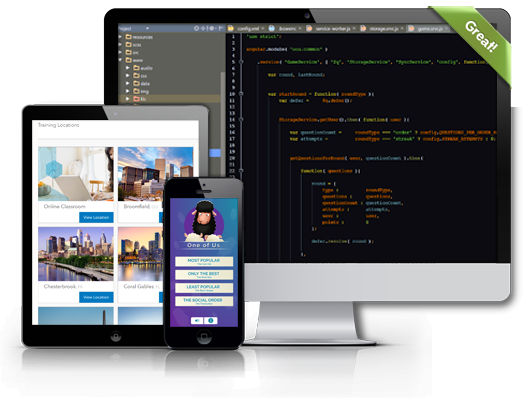 Utilizing the Ionic Framework we transform HTML and CSS into beautiful native apps running on both Android and iOS. When we're not developing awesome applications for our clients - we develop for pleasure. Our passion leads us to write apps and websites that are loved by more than ourselves, but by a global audience. Foster-Training.com provides online training courses for foster care families and agencies. We've created a service that allows foster parents to take training courses, complete quizes, and earn credits towards foster certification. Our subscriptions offer the simplest way to earn a foster training certificate, and provide over 80 courses that cover a wide variety of foster care topics. We boast the most affordable prices online and back it with a 100% Money-Back Guarantee. Do you feel like you're different? Are you overcome with feelings of an existential dread? Discover that you are not alone in this cold, dark universe, by proving that you are truly just one of millions of sheep! One of Us is the quiz game that challenges you to think like the masses. Given a question, can you pick out the most popular answer chosen by other players? We love our users and our clients, and we'd love to hear from you. Whether you have a question, comment, business inquiry, or just have something to say - please fill out our contact form and we'll get back to you lickety split. All Right Reserved © Stone and Blade Inc.